The Inada Sogno™, the World's Best Massage Chair®, has been designed to enhance natural healing and wellness through the healing power of shiatsu massage. Inada massage chairs combine shiatsu master massage movements with state-of-the-art Japanese engineering ingenuity to create the closest facsimile to a professional massage therapist. The result is a massage chair experience that optimally enhances health and well-being while reducing stress. The Sogno delivers full-body massage, proven to help maximize relief, and remove tension and stiffness. Beginning with a body scan to match the massage to your own individual needs, the Sogno offers optimal enhancement of natural healing and wellness though expertly guided stimulation of pressure points. Moreover, the Sogno Dreamwave Massage Chair maximizes relaxation by covering more area than any other chair on the market – 1,200 square inches. The Sogno Dreamwave Massage Chair is meticulously designed and built to provide greater happiness, health and productivity. It's all part of what makes Inada the World's Best Massage Chair. The Inada Sogno massage chair blends Japanese engineering innovation with age-old shiatsu massage techniques. As the manufacturer of The World's Best Massage Chair, Inada dedicates more resources to R&D than any other massage chair company in the world. Through our proprietary R&D process, Inada has pioneered almost all of the massage chair industry's advancements, including more than 20 groundbreaking massage chair innovations. Inada massage chairs blend Eastern medical knowledge with modern technology, ensuring a balance of therapeutic benefits and ultimate stress relief and relaxation. The movements and choreography of each Inada massage chair are based on the actual movements of a shiatsu master and duplicated by a robot designed by engineers in Inada's R&D department. Inada massage chairs have an unparalleled ability to “know the body.” Each massage session starts with a body scan to match the massage to the user. As the undisputed worldwide leader in massage chair technology, Inada has single-handedly contributed almost all the groundbreaking technologies to the massage chair industry. Moreover, Inada has done more research into massage, and won more awards from the industry, than any other massage chair brand in the world. Every Inada massage chair uses state-of-the-art scanning technology to scan the body of a user, detect specific pressure points, and provide a customized shiatsu massage for one of 106 body types. Inada massage chairs incorporate a proprietary technology that combines scanners, rollers and air compression systems. In fact, the proprietary Inada Sogno technology was eight years in the making. In 2010, two of Inada's new-to-market products were recognized by the Consumer Electronics Association for their engineering innovations: the Doctor's Choice massage chair and the CUBE stowable massage chair. In 2009, the Inada Sogno massage chair was recognized for this same prestigious honor. The award-winning Inada Sogno Dreamwave Massage Chair was designed by Toshiyuki Kita, who was recognized as a 2009 Pinnacle Award finalist by the American Society of Furniture Designers (ASFD). Kita's work with the Sogno has redefined the massage chair by blending ancient eastern therapy with modern visual appeal. His world-renowned furniture designs have earned a permanent place in the collections of the Museum of Modern Art (MoMA) in New York, the Centre Georges Pompidou in Paris and the Pinakothek der Modarne in Munich. 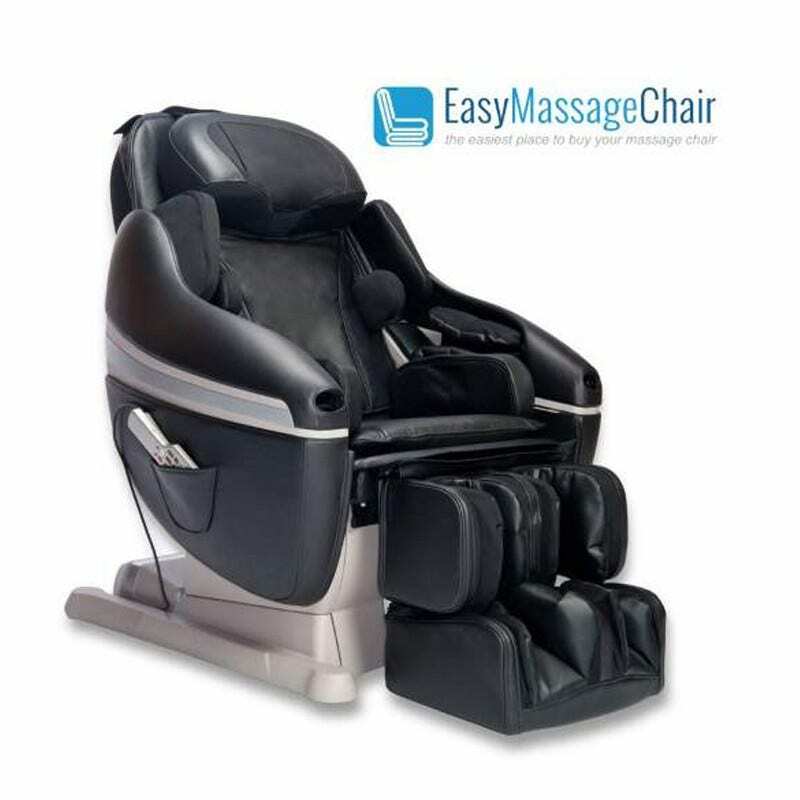 Designed to enhance natural healing and wellness through the power of shiatsu massage, this luxurious massage chair maximizes relaxation by covering more area than any other massage chair on the market – 1,200 square inches. The Inada Sogno™ massage chair offers the broadest massage coverage available – over 1,200 square inches. Using state-of-the-art technology, the scans the user's body to detect specific pressure points and provides a customized shiatsu-based massage for one of 106 body types. The Sogno's movements mimic the back mobilization movements used by physical therapists and chiropractors. The Sogno features eight shiatsu-based massage sessions including “Morning,” “Night,” “Stretch,” and “Sogno,” with gentle, undulating figure-eight motion for complete relaxation. A proprietary youth session offers a more gentle massage for both younger and older users or those struggling with more acute back pain. Sognos's stretch session provides extension, flexion and gentle rotational stretching for shoulders, mid-back and hips. Users can also customize massages for their own individual needs. The Sogno features a full-arm massage utilizing 20 air cells to massage the forearm, hands and upper arms. It is the only massage chair to provide runners with Iliotibial Band massage for hips and thighs, applying gentle or firm therapeutic pressure to relieve tightness of these large muscles. Sogno's neck and shoulder massage unit deeply massages the tops of the shoulders and back of the neck and delivers gentle neck traction. Sogno compresses and massages the user's calves in much the same way as a human massage therapist through expertly guided stimulation of pressure points. Inflatable air cells and an accordion-style feature allow users of almost any height to receive a professional-quality massage. Sogno's remote is easy to use, and easy to find! Tethered to the chair with a convenient cable, the remote snuggles into a side pocket when not in use. Intuitive control buttons allow users to select the right massage from eight pre-programmed sessions, or to customize their own massage. # Pre-Programmed Sessions 8 16 More than any other massage chair! Deep Relaxation Sessions No Yes Focuses on long, smooth massage strokes to help you attain deep relaxation. Consecutive Session Capability No Yes More flexibility and personalization. 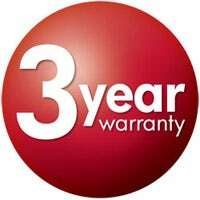 Allows user to select up to two back-to-back sessions. Approximate Max Time / Session 15 min 30 min This is a result of the ability for users to build consecutive sessions. Auto-Recline at Session Start No Yes More convenient and automatically places the user in the ideal starting session. Auto Recline HOLD Function No Yes Hold Recline or Largest for 2 seconds and release. Interrupted Massage Auto-Restore No Yes Press POWER in the middle of a session and the DreamWave will return to the upright position. Forearm Air Cell Design and Movements Old Gen 360-degree Coverage More advanced and complex movements! Backlit Remote Buttons When Powered On No Yes Easy to use in a dimly lit room. Extra Bicep Padding No Yes More versatile! A potential comfort issue for petite users has been corrected. Seat Heat Gentle Warming Only Yes Real heat now available! Independently controlled heat in the back AND seat! Back Heat No Yes Real heat now available! Independently controlled heat in the back AND seat! Improved Air Pump Sound Insulation No Yes Quiet just got better! DreamWave is a Much quieter chair! Increased Maximum Air Pressure No Yes Capable of greater massage intensity. Manual Mode Instant Start-Up No Yes Chair immediately enters manual massage without a scan. Significantly more convenient. Deep Shiatsu Sole Massage Inserts No Yes Better than rollers! Deep accupressre massage. Remote Readout Scroll Speed Slow Medium Improves readability. Smart Phone Pocket No Yes Think about it: simple, completely reliable, and it keeps Inada focused on massage quality. Footrest Vanity Plate Slipping Weak Point Redesigned and Fixed A minor nuisance corrected. Footrest Vanity Side Mold Improved - Yes Complete redesign for 100% reliability. Improved Shipping Strap No Yes Clearly indicates that it must be removed for use. Self Diagnosis Readouts in English No Yes Improves speed and accuracy of technical support. Upholstery Trim Pieces Black or Beige Matched to Chair Color Better aesthetics. Cleaner experience. Child Safety Lock Yes No A non-critical feature removed. This is likley the first and only review I will write. I feel compelled to do this because there has been, in my recent memory, no product that I have purchased that has so completely met with (and exceeded) my expectations. We have had our chair for about 4 months now. I purchased in part becasue of the helpful reviews I read. I hope that my experience offers some guidance to other shoppers. The product itself is amazing. I remember a salesman trying to explain to me and my wife what it would do, how it would make us feel, etc., and we pretty much felt that this was just a pitch. Not so. It is very hard to describe what this product can do, but I now know that none of the other chairs we tried could possibly measure up to it. require any skill or tools, which comes with the chair. two person needed to move, but for assembly one would do. about a half an hour, and assembly was another 30 minutes. in d.c., if you wish to have a friend, have a dog. but even dog sometimes misbehaves, but this robot is very faithful, all the time. if you try to duplicate the work, it would require at least four human masseuse simultaneously. This thing is amazing. It is a little underwhelming at first with the basic programs. BUT.. Once you flip open the lower panel on the remote and start trying out the different massage functions and patterns, you start seeing where this chair REALLY delivers. It is in no way a direct replacement for a strong deep tissue massage at a spa, given by a good masseuse. You just cannot get that kind of centered pressure from a chair. The people who say it gives a weak massage must not have tried adjusting the roller height with the remote. It will give you a firm enough massage to put you within pain threshold. You feel the massage rollers and get squeezing and pressures in multiple places at once. The stretch function does stretch your torso similarly as a Chinese massage. You can isolate where you want the chair to work on at the click of a button. A masseuse does things this chair cannot do, but similarly this chair does things a masseuse cannot do. I walked away feeling just as relaxed. On average I would say this chair does just as well as the top 75% of human massages I've had. I found very few differences. The arm fit and overall arm massage is slightly better on the newer unit. For skinny people like me, it feels like it was made to accommodate a slightly wider torso with bigger arms, so the bicep massage pressure isn't quite as intense. The forearm airbag on the newer unit is perfect; where this one doesn't quite hit the entire area. The air pumps on this one seem slightly louder and slower. New model has more heat, but not much of an issue with me. The rest of the features of the newer model are unimportant to me, but if you want the details they can be found on the Inada website. I strongly suggest to anyone who is interested in this unit to go try a floor model at a local retailer. Do not just go through the preset massages. Open the lower panel on the remote and play with the different roller sequences and 3-D pressures, air pressures, vibrations, roller adjustments, ect. Manual mode is where this thing truly shines. It will find that sweet spot and work on the knots with a few button presses. Also, try it with and without the removable back pad installed. You will know pretty quick if this is something you enjoy using and if it is worth the investment.